Veterans may now apply to use the Post-9/11 GI Bill® to develop their data science skills at the Metis New York City bootcamp. Metis has been approved by the New York State Approving Agency for the training of student veterans and other eligible persons, and we hope to obtain approval for GI Bill® funding for our other locations. Gaining approval to offer GI Bill® benefits to student veterans is part of Metis's commitment to foster an equal and representative data science community within our classrooms, filled with individuals of all technical, educational, and personal backgrounds. We are committed to creating a culture of inclusion within the exciting and growing field of data science. Veterans may apply for admission to the bootcamp using the standard Metis admissions process. Once accepted into the bootcamp, you will be asked to provide a certificate of eligibility stating your eligibility to use the Post-9/11 GI Bill® at a non-college degree school, which can be obtained from the Department of Veterans Affairs at gibill.va.gov. Like all Metis students, you will also need to provide a record of prior training - proof of high school/college education. Why should you use your GI Bill® with Metis? Data Scientist has been named the best job in America for three years running, with a median base salary of $110,000 and 4,524 job openings. By applying your military expertise to data science, you’ll position yourself for long-term success at a civilian job. Our instructors bring domain knowledge and real-world experience to the classroom, and we find that our veterans appreciate real-world application to problem solving in data science. Meet the team. We offer career support during and after your immersive bootcamp experience to help get you hired. Our grads go on to work at places like Facebook, Spotify, Capital One, and Amazon. Check out our career curriculum. Over the course of your 12 weeks at Metis, you will use real data to build a five-project portfolio to present to potential employers and have access to full career support throughout and after the bootcamp. View student projects. All Metis bootcamp students get access to our Alumni Slack community upon graduation. You’ll join over 1,500 members and gain the opportunity to network with our grads working in data science roles all over the country (and the world!). We’ve strategically positioned ourselves in growth cities such as New York, Chicago, San Francisco & Seattle to ensure you find a job with a top employer. 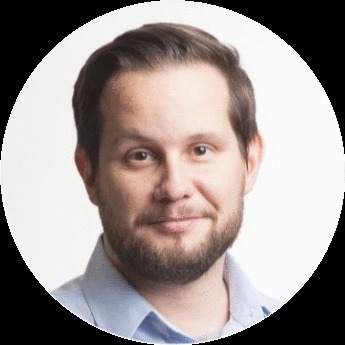 Marcus Carney, Army veteran, Afghanistan & Iraq, now works as a Data Scientist at data analytics firm CKM Advisors.